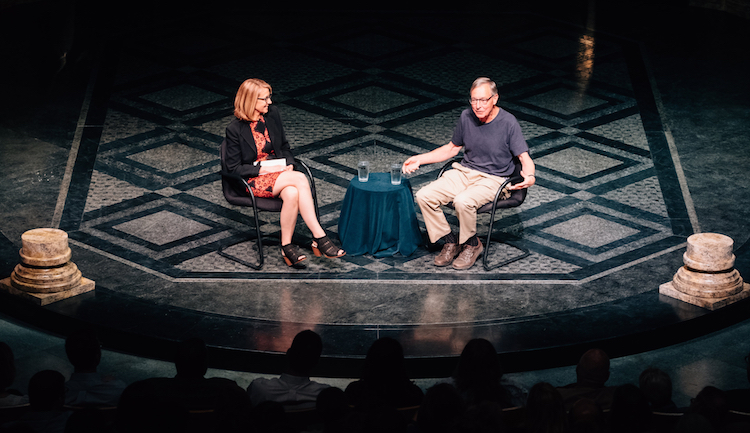 Ted Dintersmith and Tracy Certo discussing "What School Could Be" at the O'Reilly Theater May 2, 2018. Photo courtesy of Remake Learning. They came from Ohio, West Virginia and throughout western Pennsylvania to hear him. Not just teachers, but superintendents of school districts (Dr. Anthony Hamlet sat front and center), parents, students and others — Pittsburghers who share the concern that our schools are not preparing our kids to succeed in 21st-century life. In his charmingly direct way, Dintersmith shared with the audience the deep concern that inspires his work on education. 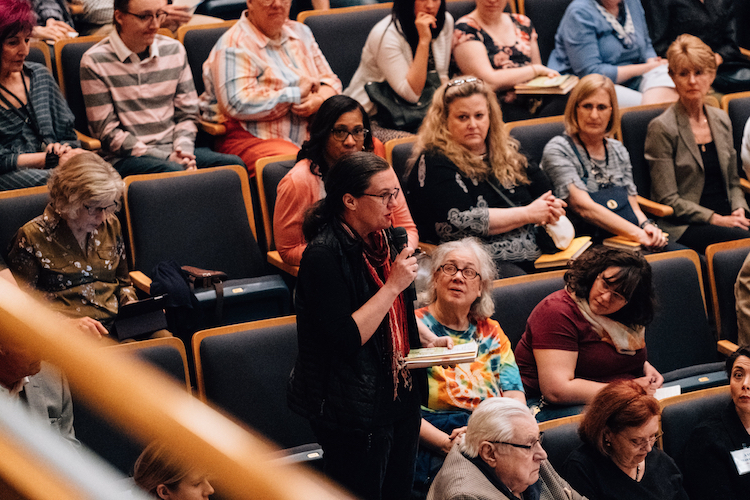 “If we don’t get school right, if we don’t start thinking forward about how we prepare our kids, I started sharing with my family and friends that I wasn’t convinced democracy would survive,” he said at a May 2 appearance at the O’Reilly Theater, hosted by NEXTpittsburgh and Remake Learning. Dintersmith, a former venture capitalist from Virginia, spent one full school year traveling around the U.S., stopping at more than 200 schools in all 50 states. He visited rural schools in North Dakota, tribal schools in Alaska, an impoverished high school in Newark, N.J., and so many others, talking at length with students, parents, teachers and administrators. Along the way, he saw too many outdated classrooms and too much test-focused teaching, but Dintersmith was also encouraged to find creative educators really engaging and inspiring their students through project-based, relevant assignments. Their work and the impact they’re having on students is proof that new approaches can and will succeed if only school districts will embrace them. When learning is relevant, kids tend to flourish, he says. And yet when schools “teach to the test” — that is, focus on preparing kids for college admission and not for life — kids’ learning and creativity is impeded. In his book “What School Could Be: Insights and Inspirations from Teachers Across America” (Princeton Press), Dintersmith writes that students thrive in environments where four principles — purpose, essentials, agency and knowledge (PEAK) — are emphasized. 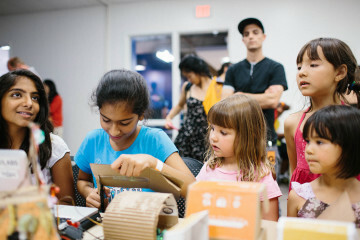 Purpose: Students work on projects that are important to them and their community, and these projects with real-world impact can be displayed publicly. They learn over time that they can make a difference in the world. Essentials: What do students need in the 21st Century? Creative problem solving, communication, collaboration, critical analysis skills, a sense of real citizenship and good character. Agency: Students have a voice in their own work. Starting young, they learn to set goals, manage their efforts, assess their progress, and persevere to completion. Knowledge: Students master deep knowledge. There’s no better way to fully learn something than to teach it to others. 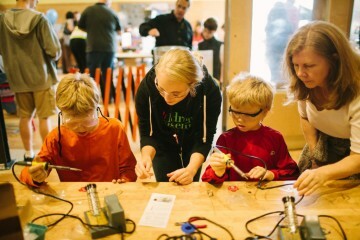 Their knowledge is reflected in the quality of what they create, build, make and design, and how well they can teach that to other students. 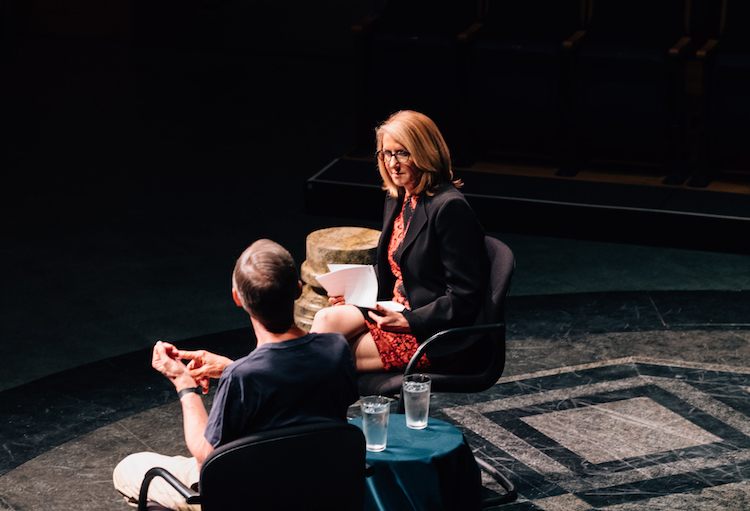 NEXTPittsburgh founder and publisher Tracy Certo led Dintersmith through a Q&A about the research and findings in his new book. Image courtesy of Remake Learning. During the interview, which was taped for Book TV by C-SPAN and will air within the next week, Dintersmith offered many examples of innovative teaching strategies. He talked about elementary school students in Dunbar, West Virginia, who staff IT functions at their school, own their learning and manage their progress. And he spoke of third graders in North Dakota who are given “genius time” to work on their own areas of interest. But Dintersmith warned that students who aren’t given these opportunities and instead only experience timeworn teaching regimens, may be losing the ability to think outside the box. When a high school English teacher in another North Dakota school district gave juniors one class a week to learn about whatever they were interested in, half the kids did a Google search using these words: What should I be interested in? Dintersmith reserved his harshest criticism for college admissions testing, specifically the SATs and other standardized tests that employ Bell curve grading methodologies. Communities must honestly and directly address the question of whether they’re preparing the next generation for the world they will inherit, he says. And we must support the teachers who are already innovating and help them share their approaches with others. A crowd of more than 400 came to hear the Q&A at Pittsburgh’s O’Reilly Theater. Image courtesy of Remake Learning. The good news? Even as he preaches a sense of urgency about addressing the current problems in American education, Dintersmith says he has found much reason for hope during his extensive travels. He was pleased to tell the Pittsburgh audience that some of the most innovative new approaches to teaching are happening right here in our city. He praised Remake Learning, a network of schools, libraries, learning centers, museums and education professionals working together to develop creative and relevant approaches to learning. “There are a lot of interlocking parts that impede real innovation,” Dintersmith said. “What just blew me away here is the way this collaborative community comes together to aspire to do something so important. Businesses come in and civic-minded nonprofits join in, and they celebrate this thing.